What Happens at WSMS Summer Camp? We are pleased to share that WSMS Summer Camp 2018 will be held in our main building. All children will have use of our full facilities, including the gym, roof and classrooms. We are busy planning and are looking forward to sharing wonderful experiences with your children! Summer camp is staffed by WSMS teachers, allowing us to offer the same level of exceptional programming that is offered during the year. Children find comfort in the consistent philosophy and curriculum that they already know. Children often have the familiarity of friends or teachers in camp, making it a smoother transition from the school year to camp. During camp, children are given opportunities to expand upon their interests in ways that are not usually offered during the school year. For example, in past years, summer camp has welcomed visitors including musicians, a puppeteer, a soccer coach and a magician. 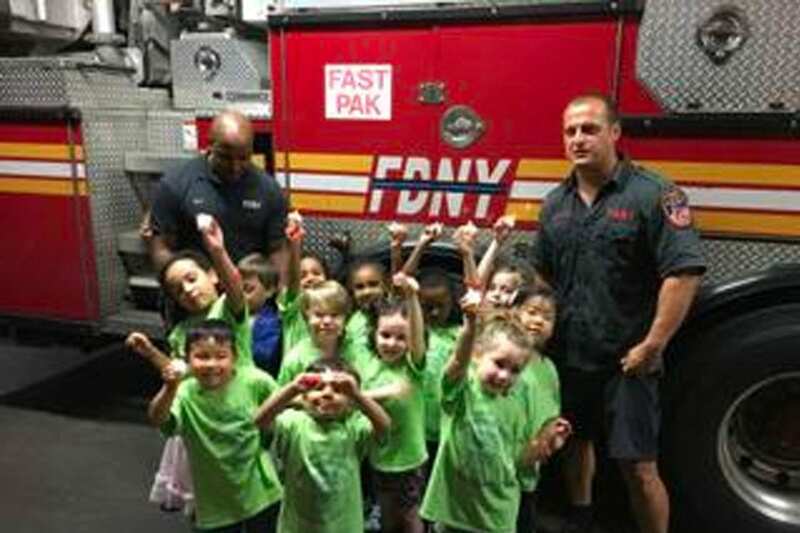 Children also take day trips inspired by their interests, such as the local fire station, exhibits at the Children Museum of Manhattan, local gardens, parks, and – of course – the sprinklers! Fun themes – stay tuned! Registration for summer camp is offered in three sessions and runs through the first week in August. Click here for more information and to register. http://wsmsnyc.org/home/wp-content/uploads/2018/03/summercamp.jpg 686 1030 admin http://wsmsnyc.org/home/wp-content/uploads/2018/09/WSMSLogo2018_C-e1538250431479.jpg admin2018-03-19 21:28:362018-04-28 13:50:20What Happens at WSMS Summer Camp?